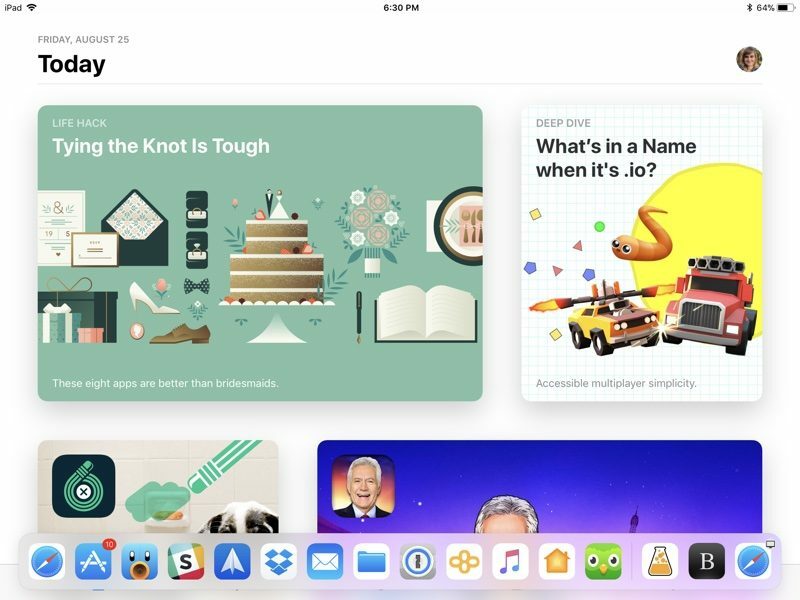 The dock is persistent and can be pulled up within any app at any time with an upwards swipe, a gesture that used to be reserved for the Control Center. A swipe up now opens up the dock, but you can still get to the Control Center and the App Switcher (now one and the same) by continuing to pull in an upwards direction. Swipe downwards to hide the dock. 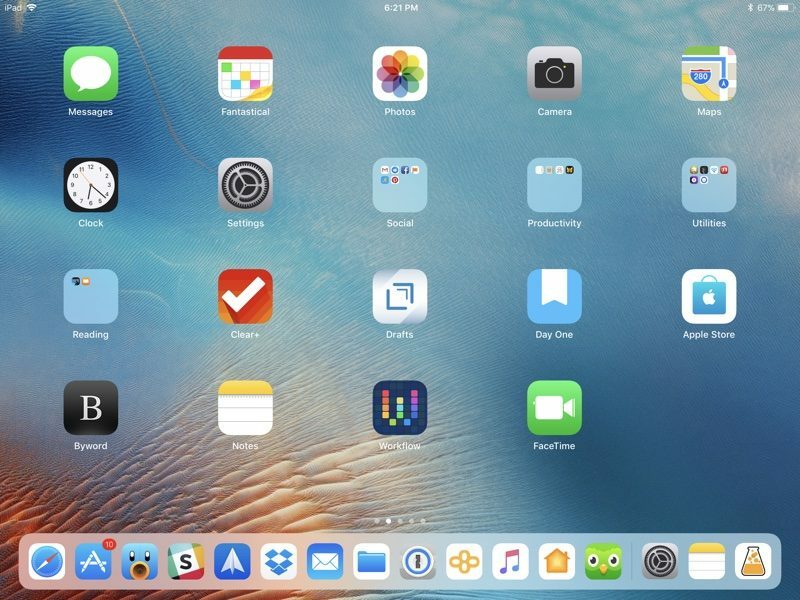 There's only one step required to add an app to the dock. 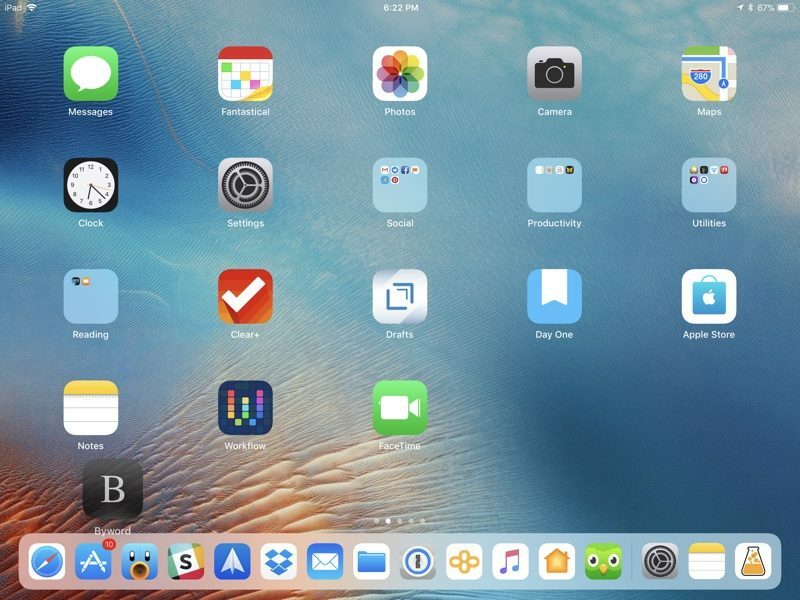 Simply hold a finger over any app on your display for a second and then drag it down to the dock. This will add the app's icon to the dock. Toggle off "Show Suggested and Recent Apps." 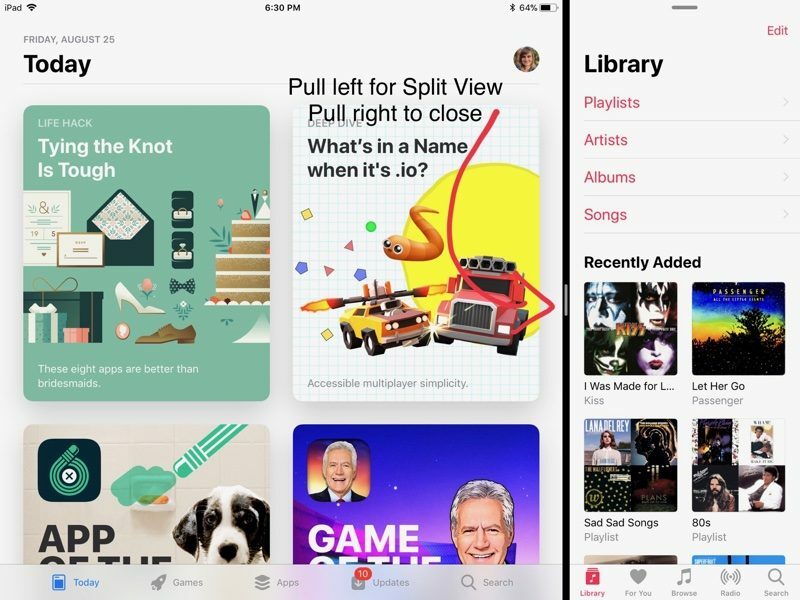 Launching an app is as simple as tapping it, and because the dock can be brought up within any app, it's also useful for switching between apps. Beyond simply switching between apps, the dock can be used with Split View and Slide Over multitasking. 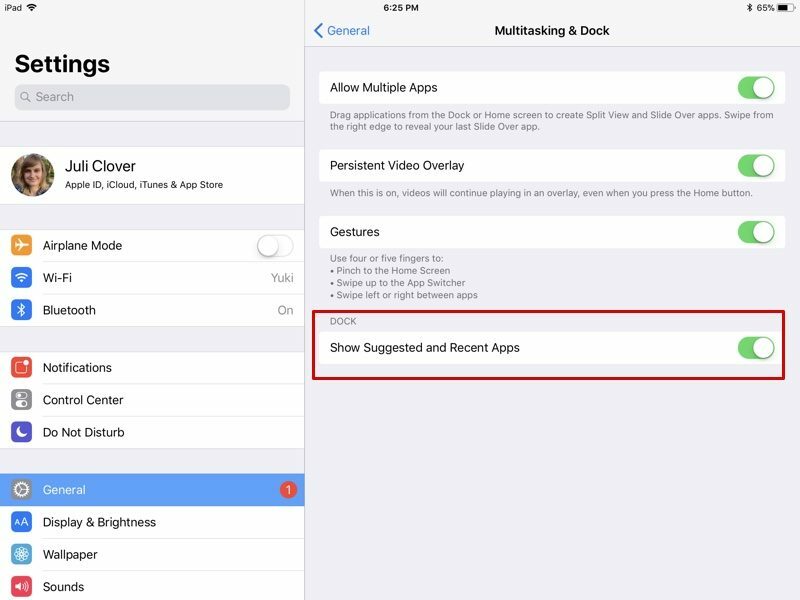 When an app is open, drag another app up from the dock to open a second app that is overlaid on the first. 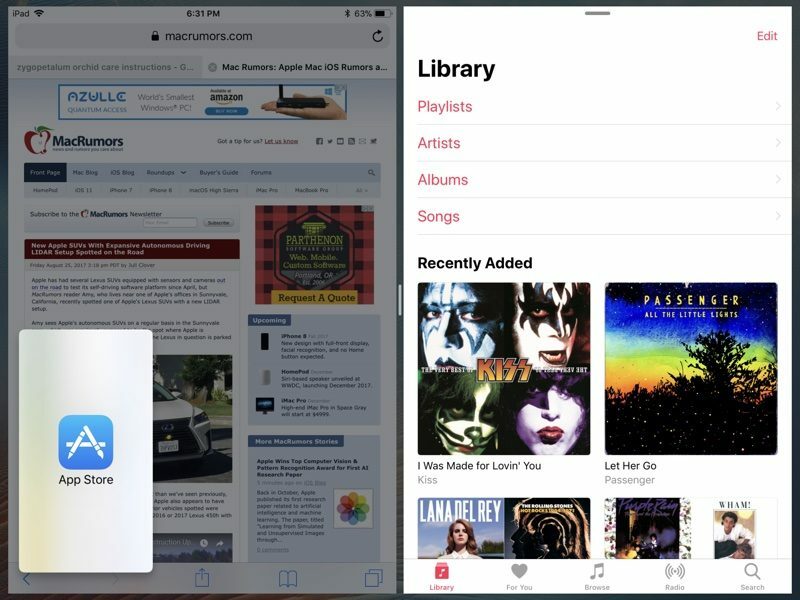 This isn't technically a Slide Over window -- it's just a pop up over the first app, but it can be used simultaneously with the app it overlays. You can close one of the apps that's open by pulling the bar all the way to the left or the right of the screen, depending on which app you want to close. 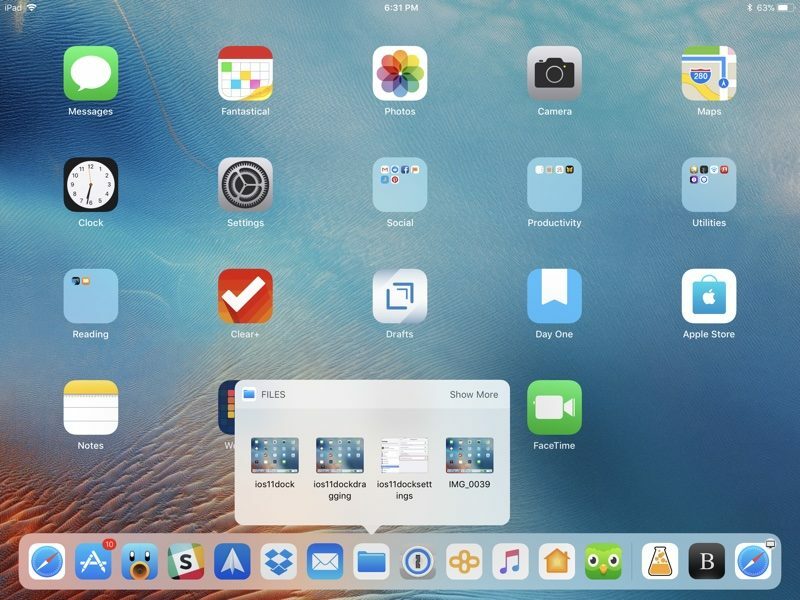 The iPad doesn't support 3D Touch, but a similar gesture can be used with the Files app on the dock. 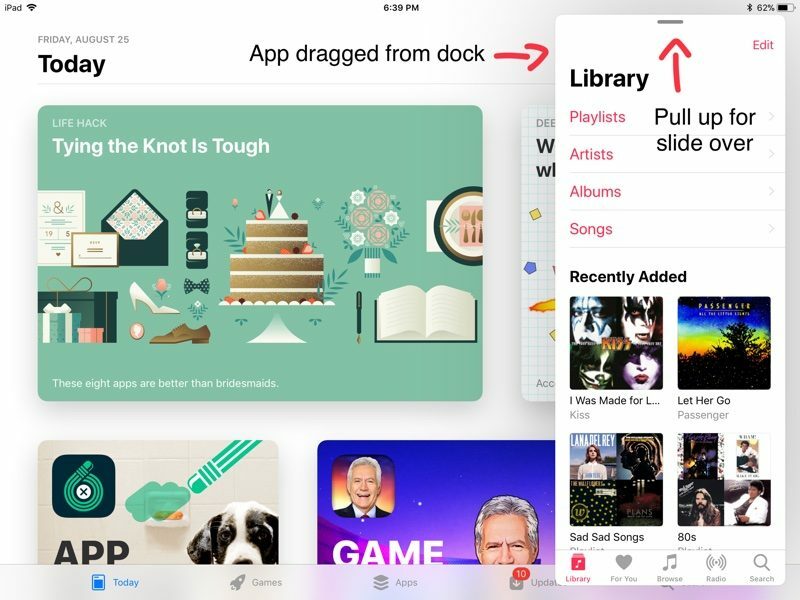 To access this feature, long press on the Files app to bring up a 3D Touch-style window. After you press the Files app and the window is open, it'll stay open even after you move your finger. It lists all of your most recent files, which you can drag from the app without having to open it. I completely agree. I'm currently on information overload with iOS 11. There are so many new features and so many ways of doing things, it's going to be months before I'm familiar with all of them. I can't wait to get home and install it later today!